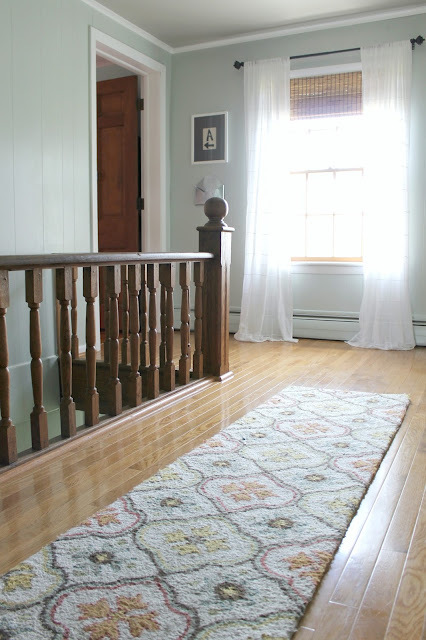 Grace Lee Cottage: Rug Pads to Save My Sanity! Rug Pads to Save My Sanity! 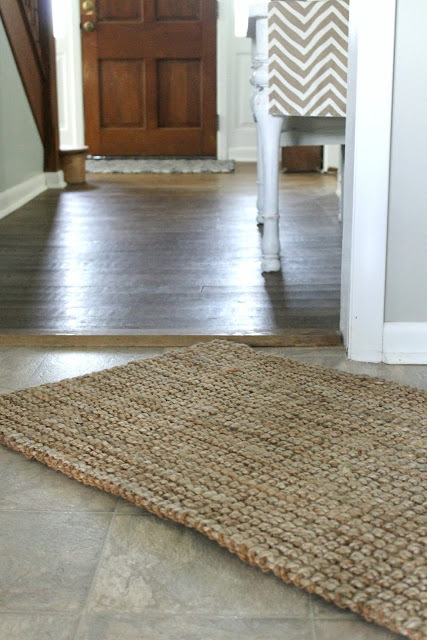 Today I'm sharing one of the most recent additions to our home, rug pads! I know most every one who loves rugs probably uses them but I never have. I've never been a fan of the way typical rug pads leave marks on the floor and the way they hold dirt, so I just always did without, until recently. Our hallway upstairs leads to our 3 bedrooms and a bathroom that we all share at the moment, so this little hallway gets a lot of traffic on a daily basis! I threw this rug down right after we moved in just to add a little texture, warmth, and color to the space. I love how it instantly brightened the space and provided something soft underfoot. What I didn't love was the way the rug slipped all over the place and never stayed put. I was constantly moving it around and putting it back in place. I was doing the very same thing with this little rug that I have in our kitchen. I know it looks a little out of place, but this rug is strategically placed to hide a few flaws in the floor so I really needed it to stay put without further damaging the floor. Rug Pad Corner is a family owned company that offers high quality chemical free rug pads that are made in America! They take special steps to insure their rug pads do not contain harmful adhesives that will damage your floors. In addition to providing an excellent product they also support many worthy causes such as The American Cancer Society, St. Jude Children's Research Hospital, and The American Red Cross. Each time you make a purchase, a portion of the proceeds will benefit one of those 3 charities. How awesome is that! I'm thrilled with my new rug pads! They make our rugs feel so soft underfoot, and the fact that they now stay in place has truly saved my sanity! I am happy to know that I am prolonging the life of our rugs and our floors! I can say that I am now a fan of rug pads! If you are in need of a rug pad be sure to check out Rug Pad Corner! Their web site is very informative and easy to navigate, and the staff is always ready to help if you have any questions! Thanks so much for stopping by! You can also find me on Instagram & Pinterest! 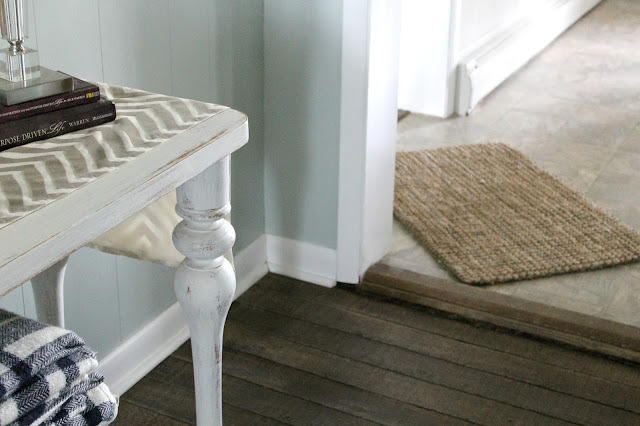 Disclosure: Rug Pad Corner provided the rug pads, but all opinions In this post are my own.